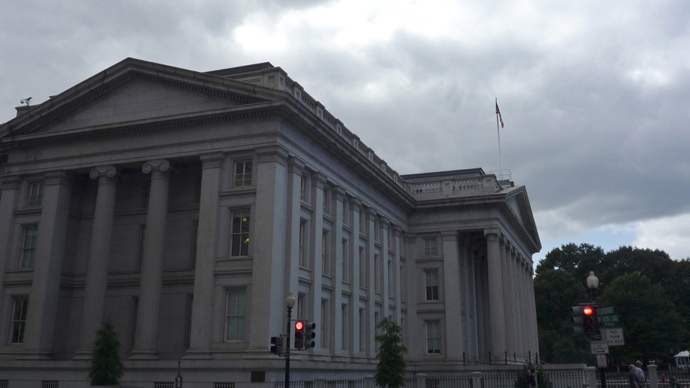 Treasury investigators have received 366,000 complaints about thieves impersonating Internal Revenue Service agents, and some 3,000 Americans have been robbed of over $15 million, a top Treasury inspector told a Senate hearing on tax scams. Targeted citizens receive fraudulent phone calls by criminals pretending to be IRS agents, threatening arrest or jail time unless the victim pays alleged back taxes via prepaid debit card or wire transfer. One victim was reportedly robbed of over half a million dollars. At the Senate Committee of Finance hearing on Thursday, this particular scam was described as “the largest, most pervasive impersonation scam in the history of our agency” and “among the most pernicious and dangerous” by Timothy Camus from the Treasury Inspector General for Tax Administration (TIGTA). “To date, TIGTA has received over 366,000 reports of these calls. We receive between 9,000 and 12,000 reports of these calls each week,” Camus said in a prepared testimony. The Treasury first started receiving calls about the scam in 2013. The scammers have targeted citizens throughout the US, Camus told the Committee, but the top five states for dollar losses by victims have been California, New York, Texas, Florida and Virginia. The scheme to so widespread that investigators believe there are multiple groups of criminals, both foreign and domestic. So far, two suspects have been arrested in Florida and charged with allegedly operating a fraudulent call center in India to run the impersonation scam. However, the scheme shows no signs of slowing down. Camus himself received a call from impostors last Saturday, he testified. A particularly alarming trend is identity theft. Some of the complaints have mentioned the impostors seemed credible because they knew the last four digits of the victims' Social Security numbers. "If someone calls unexpectedly claiming to be from the IRS with aggressive threats if you do not pay immediately, it is a scam artist calling,” Camus said at the hearing. The IRS contacts taxpayers by mail, and never asks for payments via wire transfers or debit cards. During fiscal year 2014, the IRS collected over $3.1 trillion in tax revenue, processed over 242 million tax returns and other forms, and issued $374 billion in tax refunds.